Four teenagers will likely face charges after Martin Luther King High School in East Germantown was placed on lockdown Wednesday morning, 6ABC reports. The school on the 6100 block of Stenton Ave. was initially put on lockdown after there were reports that a student had a gun on school property. A juvenile was taken into custody shortly after 9 a.m. at the Fern Rock Transportation Center as part of the investigation. Schools officials told 6ABC that while the student is registered to attend the high school, he has not attended class there this school year. The stolen gun was recovered later in the day, officials said. Police said it was in the possession of three other teens they had been observing. All four teens are expected to face juvenile charges on possessing the gun and circulating it between them. 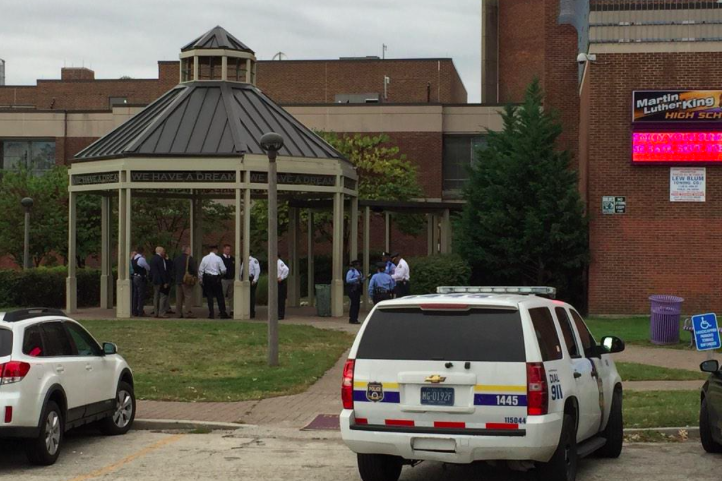 Meanwhile, classes resumed Wednesday at the Community College of Philadelphia after a lockdown on Tuesday. College President Dr. Donald Guy Generals announced that the former student who had been detained by police was released, citing a lack of evidence for the prosecutor to press charges. There was no weapon found on the campus following a search with K-9 units.